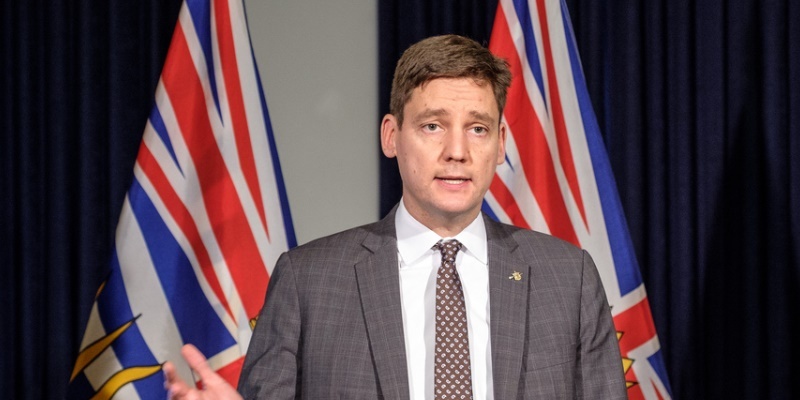 Yesterday, B.C Attorney General David Eby (pictured above) unveiled his recommendations on how the upcoming referendum on electoral reform in British Columbia will proceed. It’s heartening to see he’s taken some of our advice by proposing a two-part question to initiate the process. However, Eby’s plan, which must still be approved by the Horgan cabinet, ends the process at the first referendum, which will undermine the legitimacy of the result due to lack of information available to the public. If the first question elicits more than 50 per cent vote in favour of change, then the second question will be used to determine which PR system will be designed. There are several problems with how this will unfold. First, there’s no requirement for voter turnout for either question. The outcome of the referendum requires neither a specific voter turnout, nor support from across the province. Second, voters need not answer both questions. The government will proceed with which ever system gets the most support after two rounds of voting—but not necessarily one that has the majority support of all who voted. In a scenario where change receives just over 50 per cent of the vote, the winning system could have fewer supporters than the current system. Third, with this approach, the public won’t know how the PR systems would work in practice. This violates a fundamental principle of the referendum; that voters be informed of the consequences of their choice. He recommends that the details of the system be determined by an all-party legislative committee, and that boundaries be determined by an independent boundaries commission. While there’s nothing wrong with having these two bodies design an electoral system, that work will be done after the vote. However, the only way to ensure legitimacy of the system is to present this final system to the public to determine if it’s the preference over the status quo. The final recommendation from Eby is that if the electoral system changes to a form of PR, voters would be consulted again after two elections. He points to the example of New Zealand, which had a referendum after the electoral system was changed. One has to wonder, however, if the New Zealand system of having a two-part question, and the subsequent referendum were wise, why then, does he reject a key tenet of the New Zealand model—that the public votes on the new system after the details have been resolved? Failure to provide detailed information on the specific form of PR that will be used in B.C. could undermine the government’s attempt to change the system. Experience from referendum in Canada and around the world show that the public is more likely to vote for the status quo when given limited information on the alternative.